Did you grow up in an entrepreneurial environment? Yes, I grew up in Peoria, Illinois and spent a lot of time at a community center which was up the street from my house. Growing up, I realized I wanted to create some sort of third place, like a camp or community center, where young people could spend time – somewhere that wasn’t school and wasn’t home. A venue that gave them a productive place to spend their time. I was really directly first exposed to entrepreneurship in high school. At that time I was living in Iowa and after school I worked at a local ice cream shop and health food store. I worked for one entrepreneur who owned two businesses. What was just a part time job gave me a really good view into the life of an entrepreneur and what it meant to take a business from idea to physical location and onto hiring people and serving the community. That was the first time I had really seen someone do that. It was during that time I realized that the desire that I had to create that “third place” was entrepreneurship. During college, I ended up running a startup camp in Illinois, where I worked as a consultant for five years. Do you think it is important for young people to work in small businesses? Yes, I think that working in those places did allow me to see that the desire I had could be manifested as entrepreneurship. Now, if I am having a business consulting meeting or a legal meeting, I tell my clients to bring their kids. Young people don’t only have to be exposed by working in a small business, they should also be exposed by watching their parents engage in entrepreneurship. Working with lawyers, talking to their banker – I think the more we can show kids what entrepreneurship is, the better equipped they will be to focus their interest in that direction. Because you do have to see something before you can believe that you can be it. What was the path that took you from law school to SEED? Right after law school I had an opportunity to work with a non-profit called Blue Hills Community Services. They had just designed an incubator for construction companies – the nation’s first construction specific incubator. They had built out the space but had no plan and no one to run it. I was able to work with them and that is really where I built my coaching and consulting business. Later, when I passed the bar, I was still running the incubator but I started my law firm at the same time. I was doing a lot of work at night and on the weekends – and a lot of pro bono support work. I was just trying to be as big of a resource as I could while I had a full-time job. When I decided to join the firm full-time and bring people on, it was because I had let my business grow organically. It was at a point where we were getting more work than I could do at night and on the weekends. I think this is a story that isn’t told in entrepreneurship. 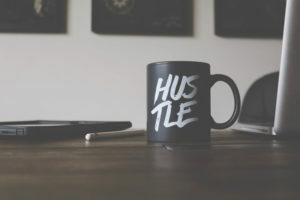 As an entrepreneur there is risk involved and you can do things to mitigate it, like working full time until you get your business model firm and develop your network. Then you can make the transition. Aside from SEED law and business consulting, you also founded the Construction Business Institute and hold leadership positions or are heavily involved with many other organizations. With so many responsibilities how do you manage your days to give each organization the engaged and focused, time it deserves? I have a great team. The consultancy will be five years old this year and the law firm three, so at this point we are really clear about what we can do and the sort of people we need around us. I think what also helps me is that I have a really focused life mission, which is to aid in the creation of sustainable business and transferrable wealth for those in our community that need it the most. That really helps me to balance my obligations and priorities. But I don’t do it on my own. You learn really quickly that it’s really important to engage the right partners. I would be lying if I told you it wasn’t a lot of late nights and early mornings. I heard a quote a long time ago that the dream is free but the hustle is sold separately. And what I tell clients is that the hustle is also expensive and you have to figure out what you are willing to spend. But I am consistently encouraged and validated when I see my clients growing their businesses, contributing to their communities, hiring people, and elevating their own personal wealth. So, I get a lot of gratification though it’s been a long journey. What do you think a strong local business culture brings to a community? I think a strong local business culture brings out people who are really invested and have the desire and aspiration to really make an impact. You care more about your community when you are trying to grow a seed there. But I also think that entrepreneurship allows for the pursuit of a human right, the right of self-determination. To be able to create your own path. And entrepreneurship is a beautiful way to take whatever your passion is and use it to grow not only your own wealth but to make your community better. Through your involvement with the MultiCultural Business Association how have you seen diversity in the start-up community develop in the area? What I’ve seen in terms of the progression of our entrepreneurial ecosystem is that the walls between the silos of our communities beginning to come down. I haven’t necessarily seen diversity increase, but I have seen more people are who in the same room together, which I think is a measure of community. When those that are all doing the same thing but are separated become connected, that equals the strength and growth of an entrepreneurial ecosystem. That is also why I started the Multi-Cultural Business Association, because the first year that I participated in Global Entrepreneurship Week I noticed that it was a very limited group of entrepreneurs represented in our community. The second year I attended I had a personal challenge to take twenty five diverse businesses with me, and then the following year I reached out to other diverse organizations and said that this is our opportunity to celebrate and participate. So that is how the coalition began, seventeen organizations came together and hosted a party. The party started at 4:00 and by 3:45 there was a long (long) line and we realized that the community that we all knew separately wanted to be together. Why is it important for business owners to get out of their bubble and meet others at networking events? I think it’s important for business owners because entrepreneurship is lonely. It is important to feel like you aren’t by yourself in this journey. I’m surrounded by a lot of entrepreneurs and we get together for work parties. We are all working on our own business but in the same room together. If we are going to be working anyway, we might as well have that sense of togetherness. I think getting out and engaging in events like 1 Million Cups or even just co-working in a space where you aren’t the only person helps you keep your head above the fray. Because to create and produce a business is really hard work. And also, it gives you a chance to figure out how to give back to the entrepreneurial ecosystem. In your experience, what do you see the biggest mistakes that budding entrepreneurs are making as they begin their journey as business owners? If you fail to plan, you plan to fail. If entrepreneurship is just the romanticization of an idea for you, it probably won’t last long, because it is hard. And you need to have your why in place as you jump into the life of a project. Because there will be some dark days. What would be your number one piece of advice for an entrepreneur in a creative industry? Build your team to account for any business blind spots. I don’t think creatives should have to try to be their own lawyer and accountant or even their own operations manager. What is important, so creatives can continue to create, is that they put that team of people around them that allow them to do that, do it well and sustainably. Do you still secretly wish you had opened a camp? It’s not even a secret! I own property in the Ozarks and now the camp idea has evolved. I would love to create some retreat facilities where entrepreneurs can go, unplug and learn from one another. I still have that heart desire to create a third place, so yes, one day maybe there will be a SEED camp somewhere. A huge thank you to Adrienne Haynes! 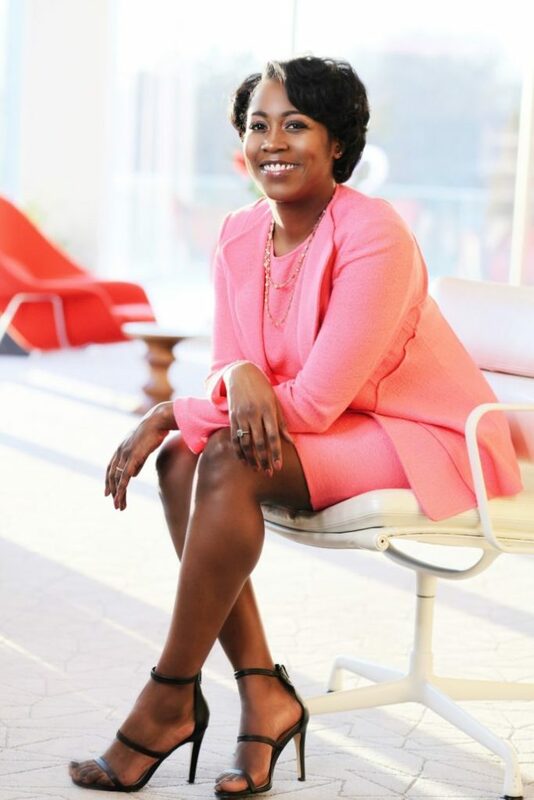 Head over to AdrienneBHaynes.com to learn more about her law practice SEED Law, consulting business SEED Collective, and the other organizations she is involved with.